In the fall of 2017, Groff was part of a due diligence team that evaluated several quarry locations available for purchase as a result of divestitures resulting from the acquisition of Aggregates USA quarries by Vulcan Materials Company. Timelines are typically very short for such opportunities, and Groff’s expertise in geologic modeling and reserve estimation for sedimentary deposits was tested. A total of 11 geologic models and initial reserve estimates were completed within a two-week period, which provided the Blue Water team the confidence needed to place their initial offer, and ultimately emerge as a new aggregates entity; Blue Water Industries, LLC. 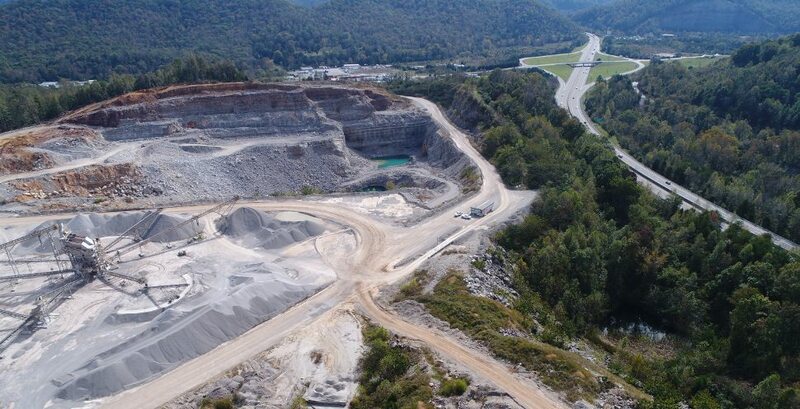 As Reuters reported, Vulcan Materials Co. was required by the U.S. Department of Justice to divest 17 crushed stone operations in Tennessee and Virginia in order to acquire Aggregates USA. Under the terms of the proposed settlement, Vulcan would divest Aggregate USA’s 13 rock quarries and yards and four inactive quarries to Blue Water Industries or another U.S.-approved buyer. Vulcan had entered into an agreement with Blue Water Industries to sell the quarries for $290 million, which closed on December 29, 2017. Groff has served on several due diligence teams, both domestic and international. The experience, qualifications, and ability to perform mineral resource and reserve estimates and mineral valuations means that your due diligence efforts get a holistic view of each site’s potential. Additional services post-acquisition are often provided to its clients, such as support for purchase price allocations (PPA), and establishment of internal centers of excellence for mine planning and operations improvements.